Pre-orders are now open for the physical version of Battle Chef Brigade. Limited Run Games is offering a standard copy as well as a collector’s edition. 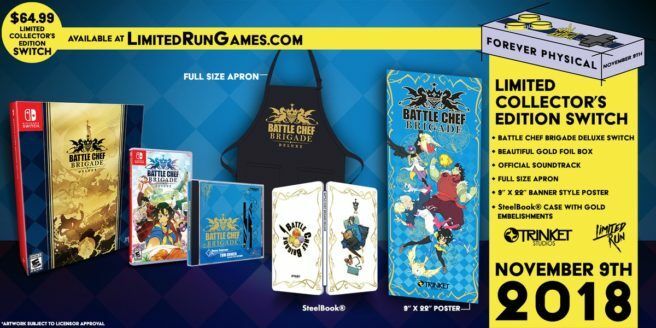 You can pre-order the Battle Chef Brigade collector’s edition here, but it won’t last long. Standard copies can be found here.